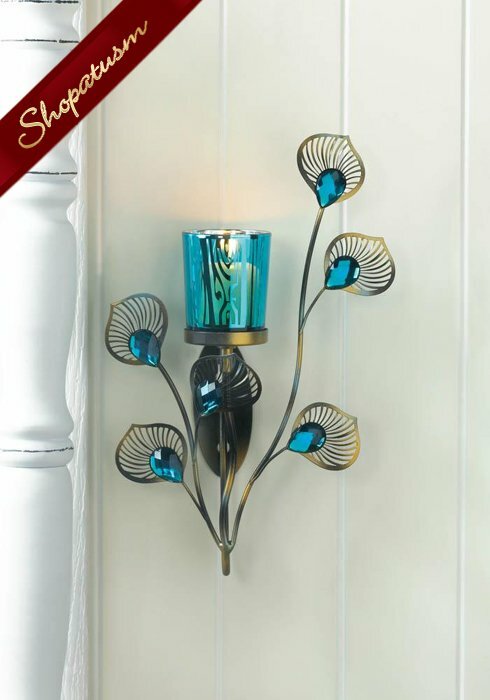 Your room will sparkle with gorgeous candlelight when you light a candle inside this stunning wall sconce. The peacock inspired design of the turquoise candle cup and the metallic plumes with faceted turquoise jewels will delight you day and night. Iron, Glass and Plastic. Measurements: 6.75" x 2.25" x 10.8" High. Weight: 0.6 pounds.